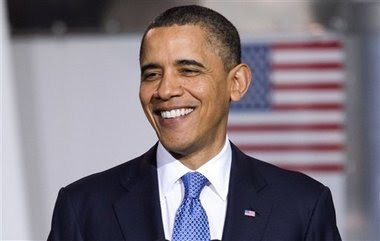 Barack Obama, the America's first black President has won re-election into the white house of United State Of America. The election which was closely contested by the Republican candidate, Romney was won by Obama in Ohio, securing about 290 electoral votes (twenty times more than he needed) to Romney's 201. He defeated Romney in key states. Governor Romney was popularly seen in the race as a white kid, and with all his white folks around during campaign, it became obvious that he was playing some unrepentant white supremacy agenda as against Obama who identified with all colors of American. Of course, one with God is majority. Hope and anxiety will finally calm.